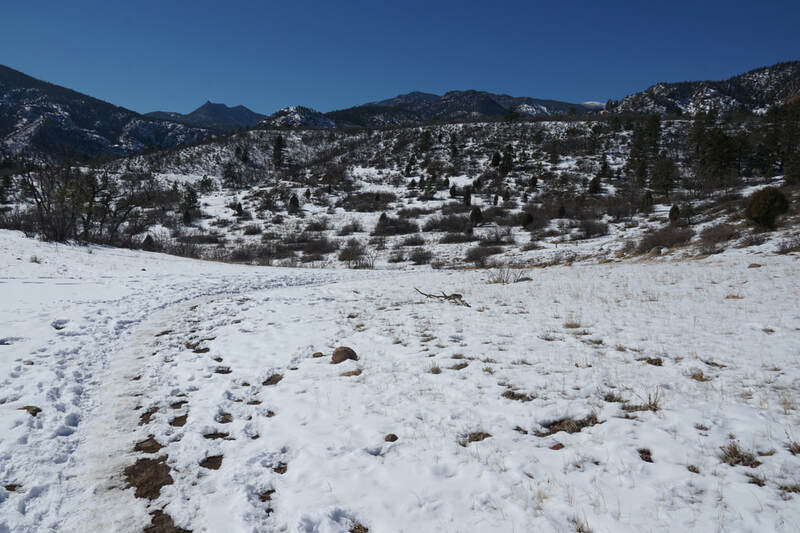 Directions: From Denver, take I-70 west to Hwy 58 west. 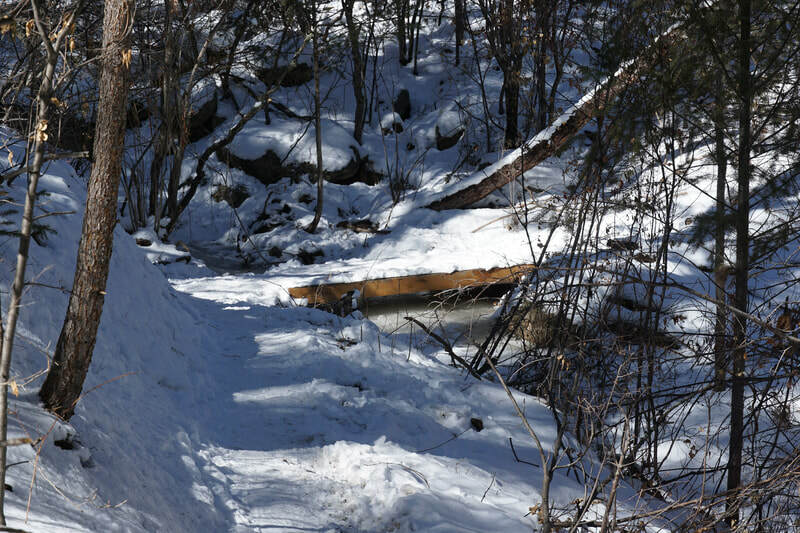 Exit at McIntyre Street and turn right (north). 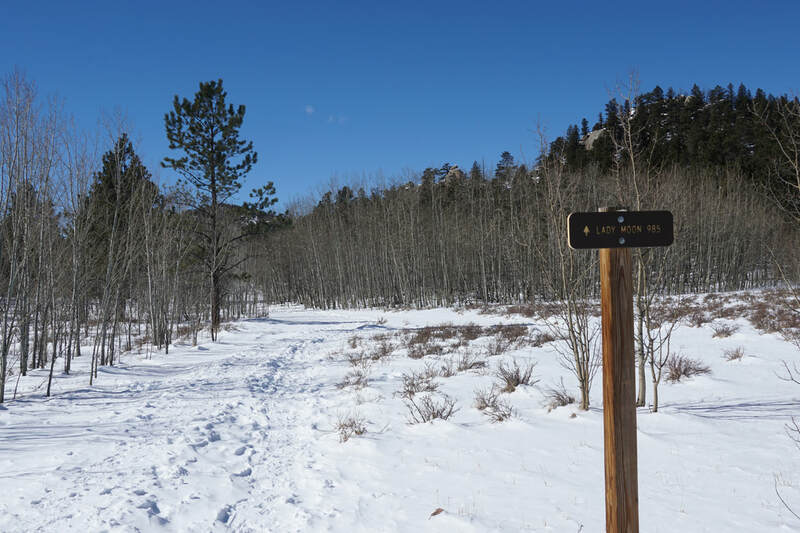 Turn left (west) on W. 44th Ave and right on Easley Road. 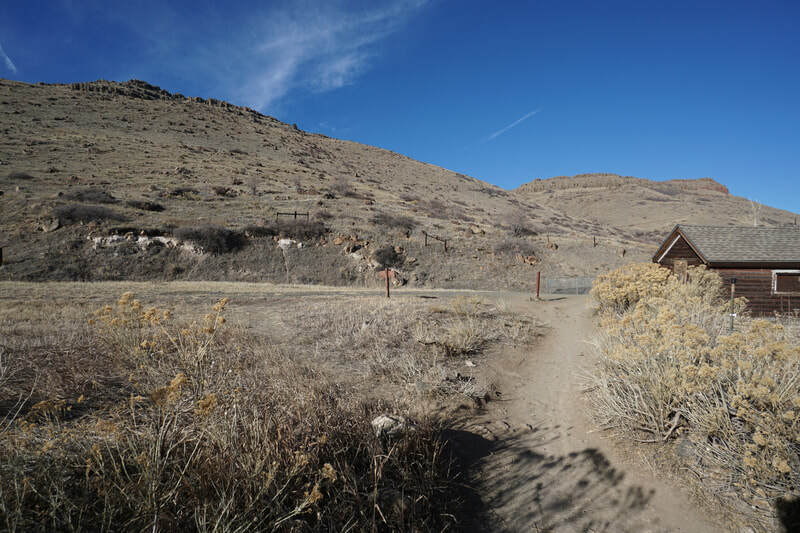 The Trailhead will be up on your left and the parking pull-out is on the right. 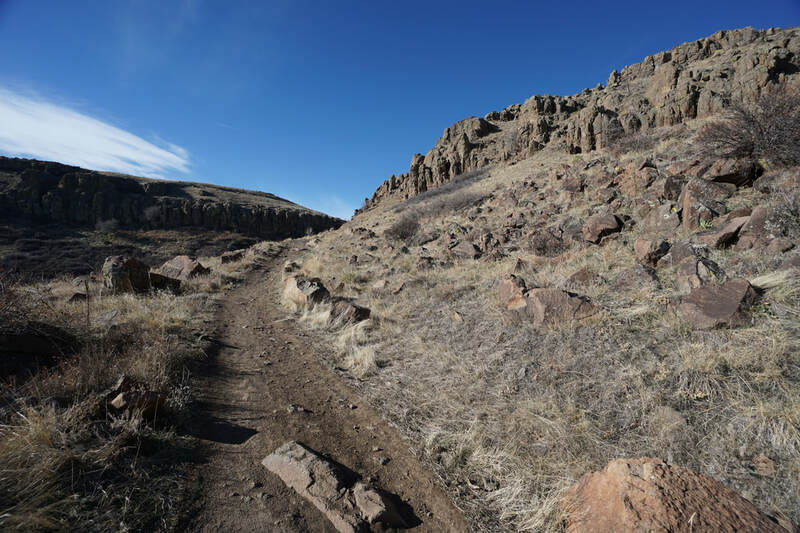 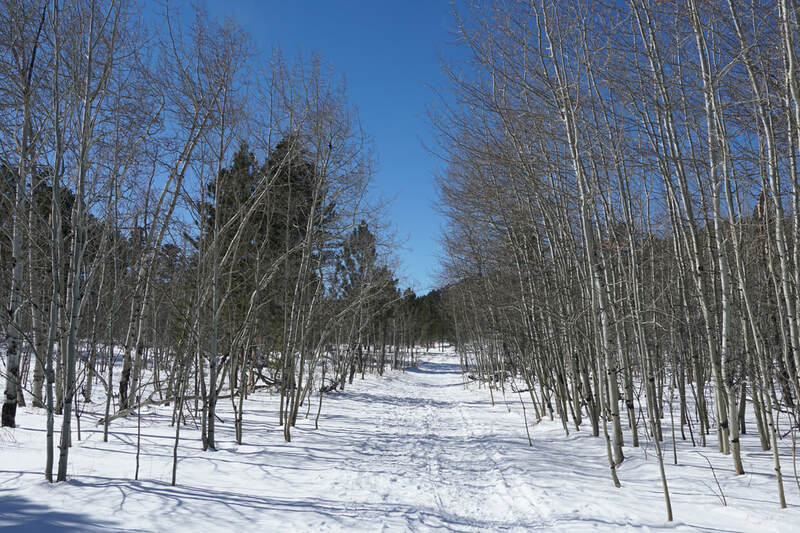 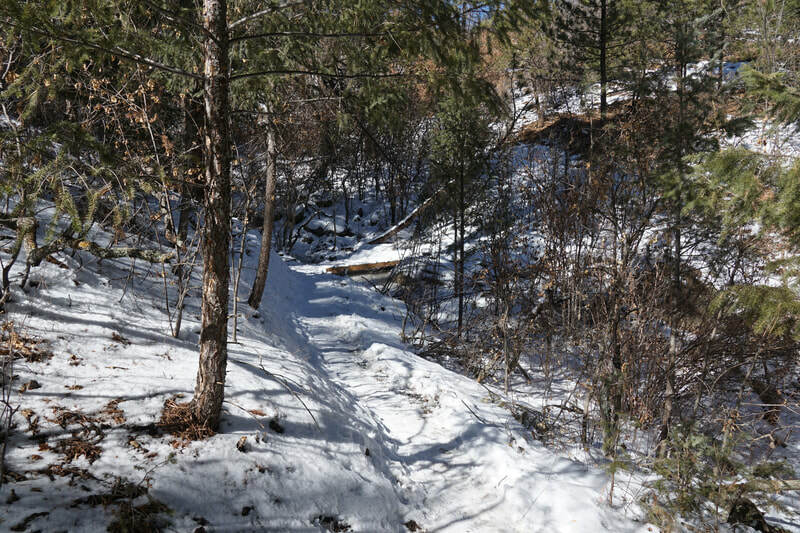 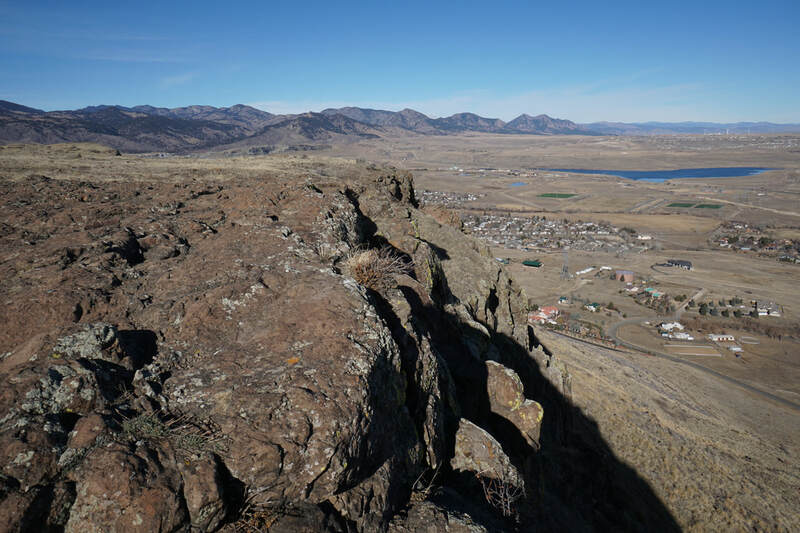 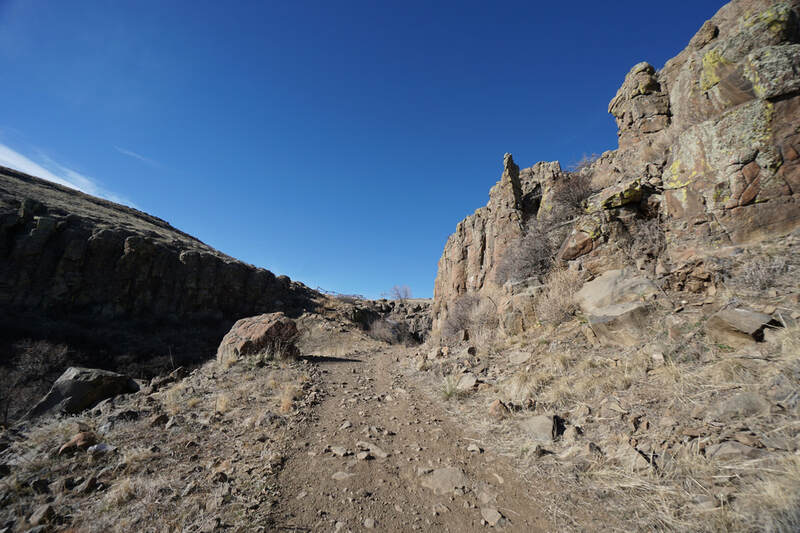 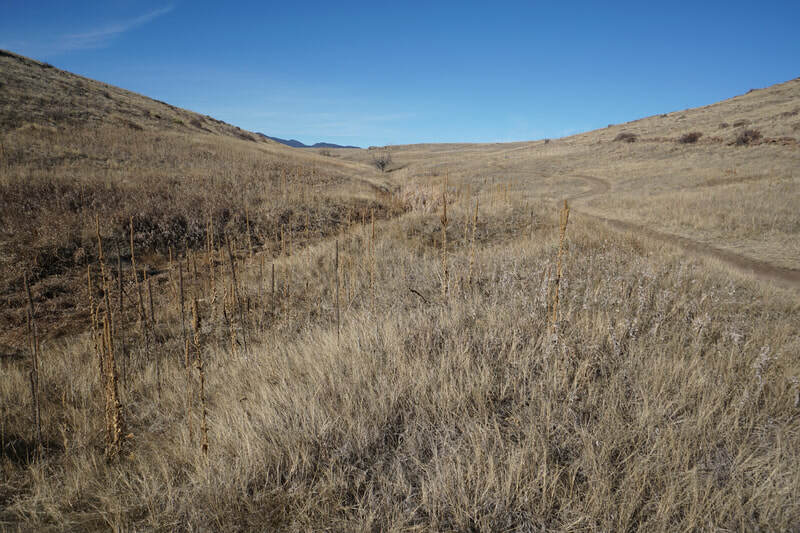 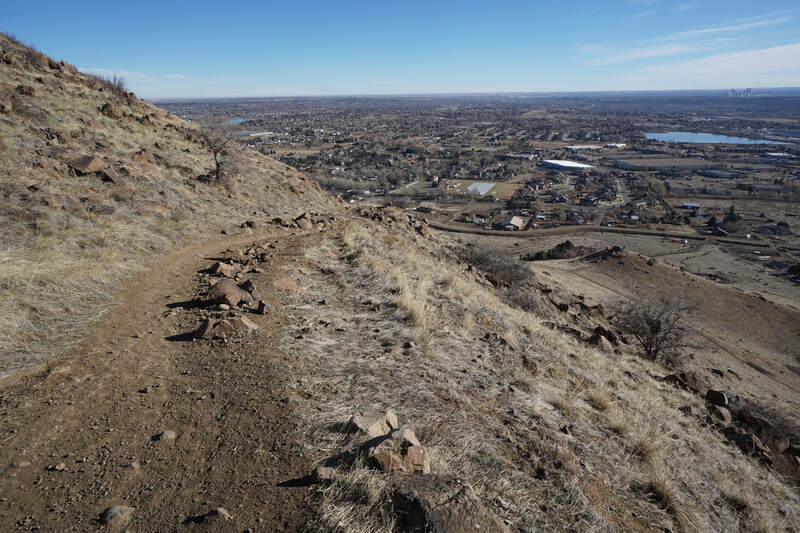 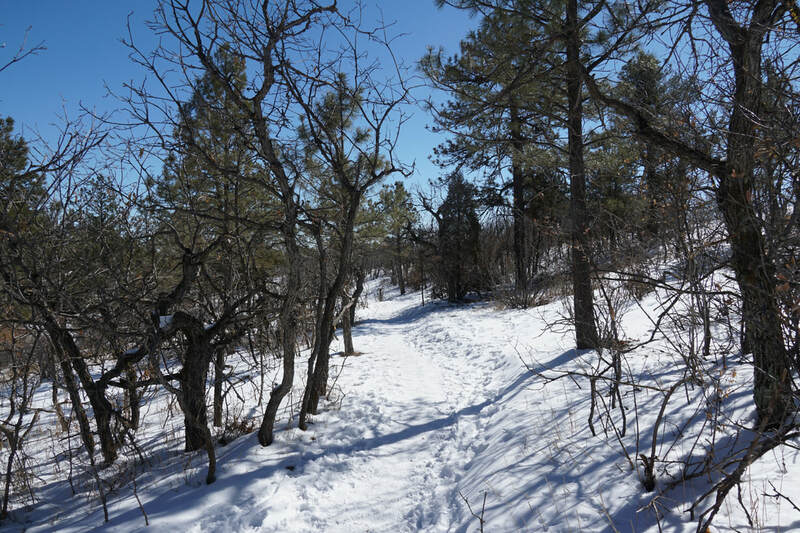 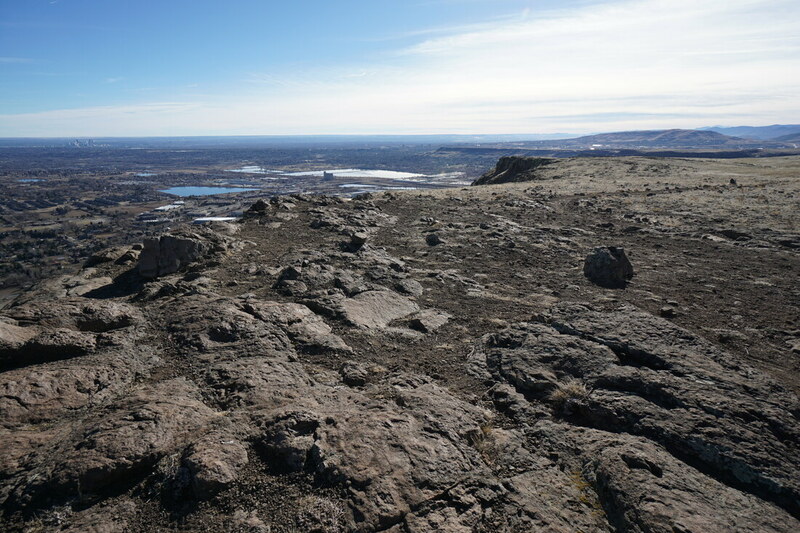 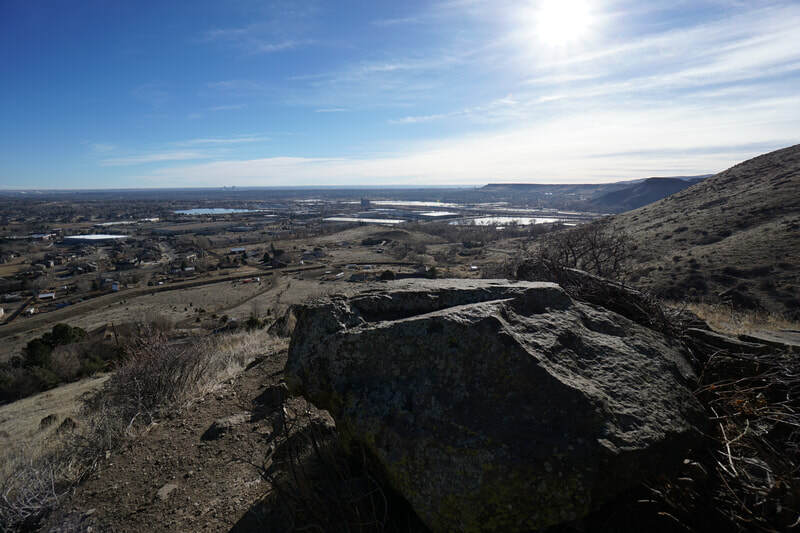 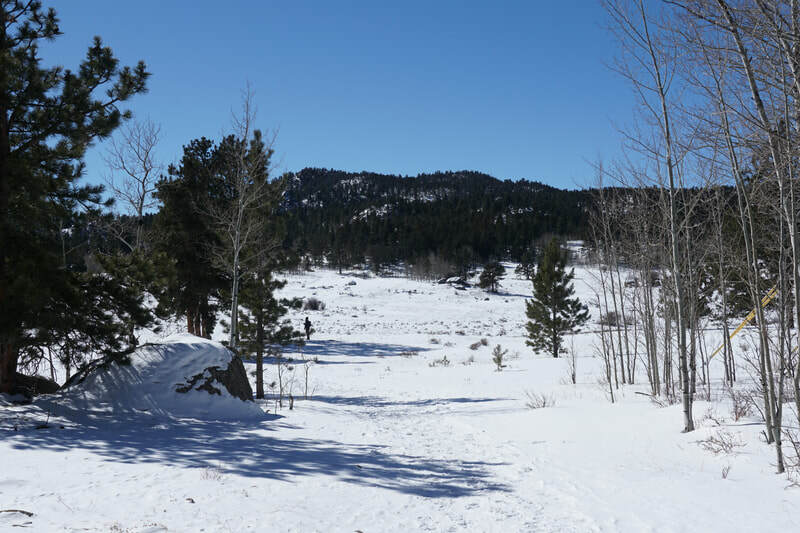 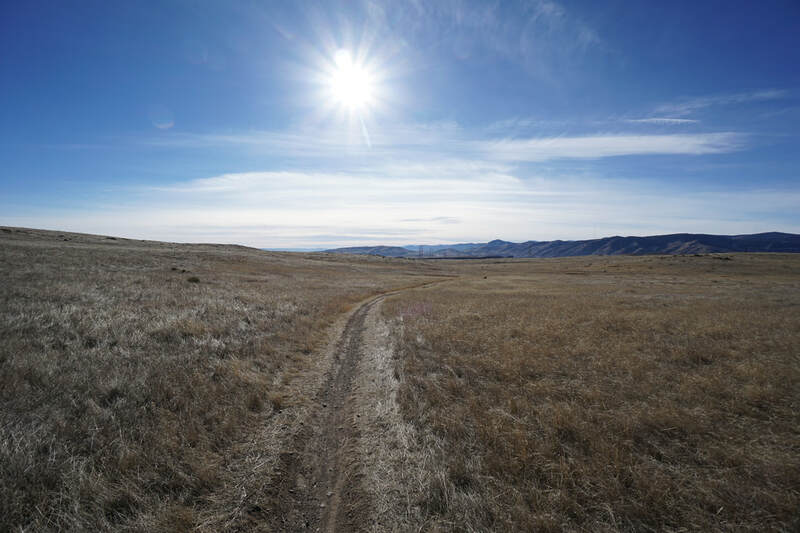 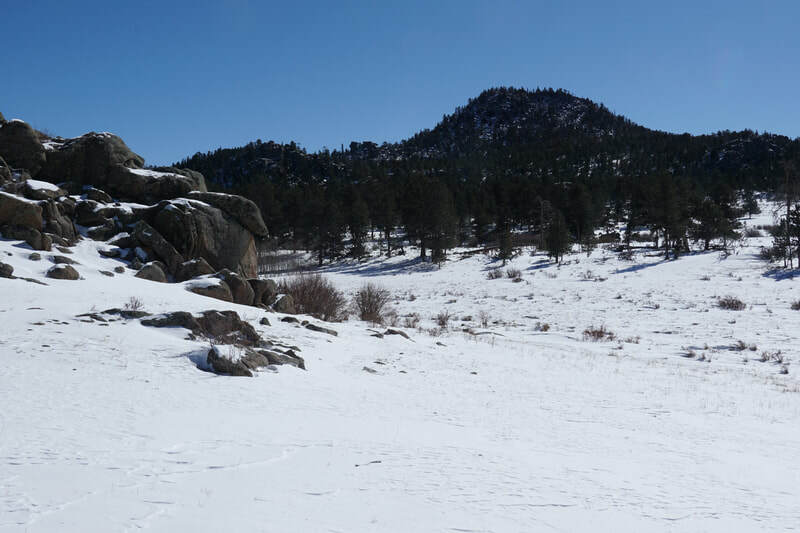 North Table Mountain Park is high on the list of great winter/spring hiking areas. 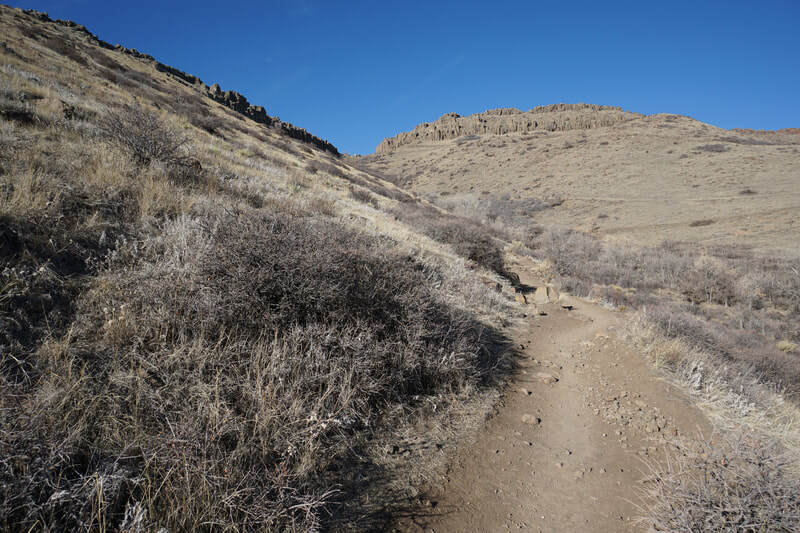 The park gets plenty of sunshine and the trails typically dry out quickly. 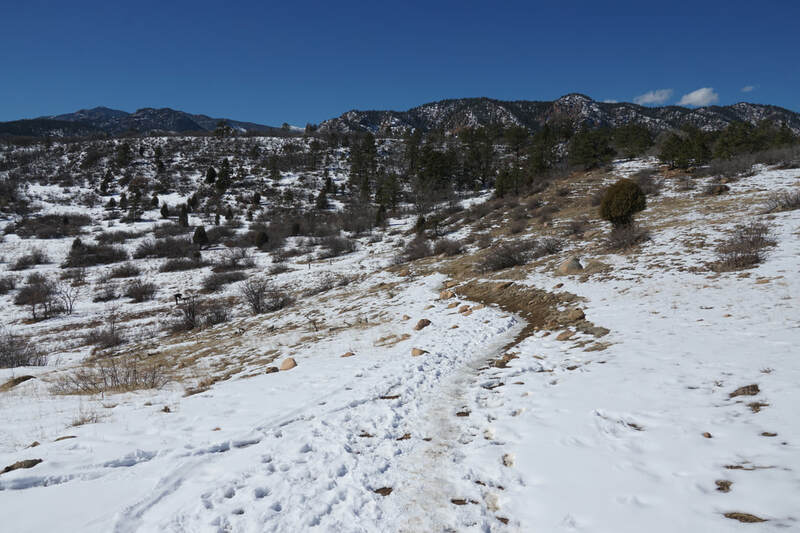 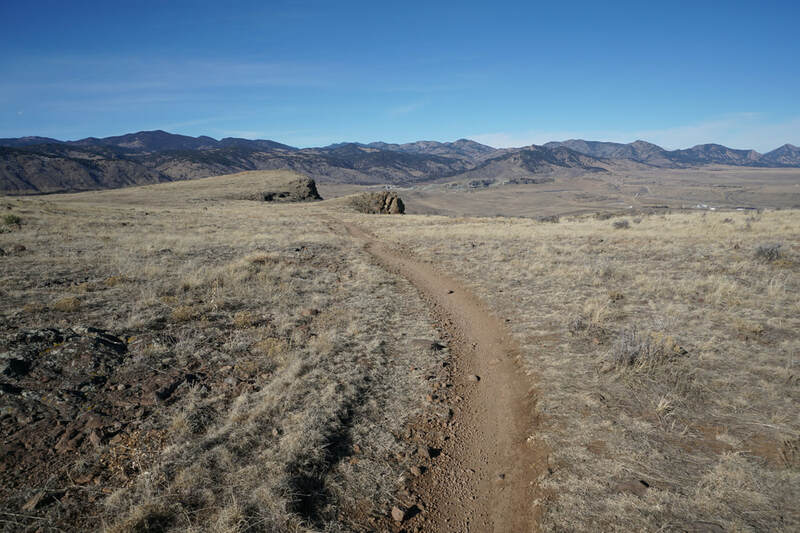 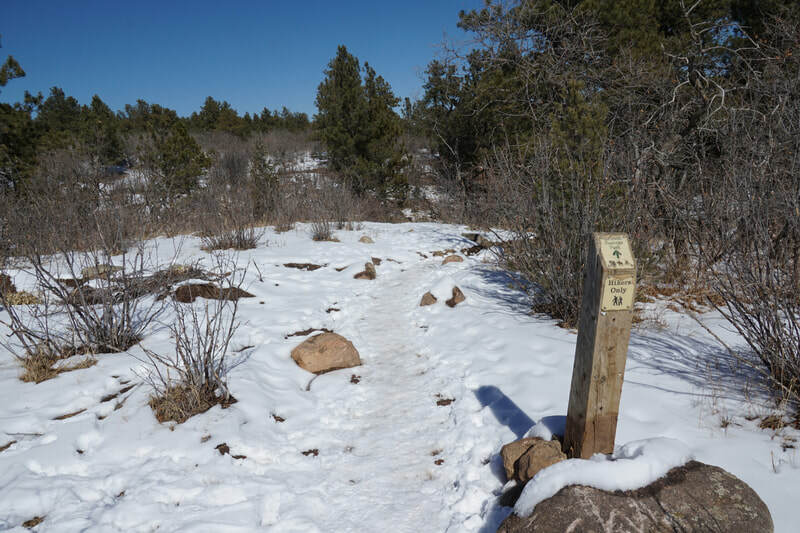 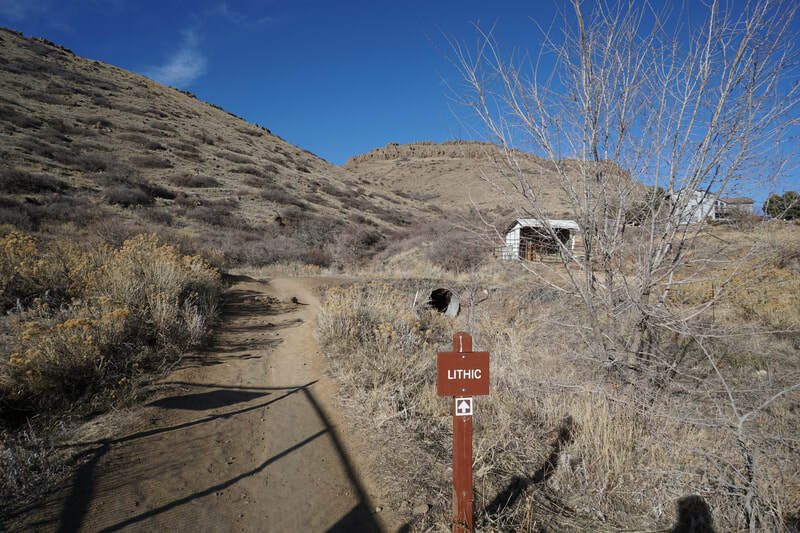 The Easley Road Trailhead provides quick access to the top of the mesa via the North Table Loop and Mesa Top Trails that climb 800 feet over about 1 mile. 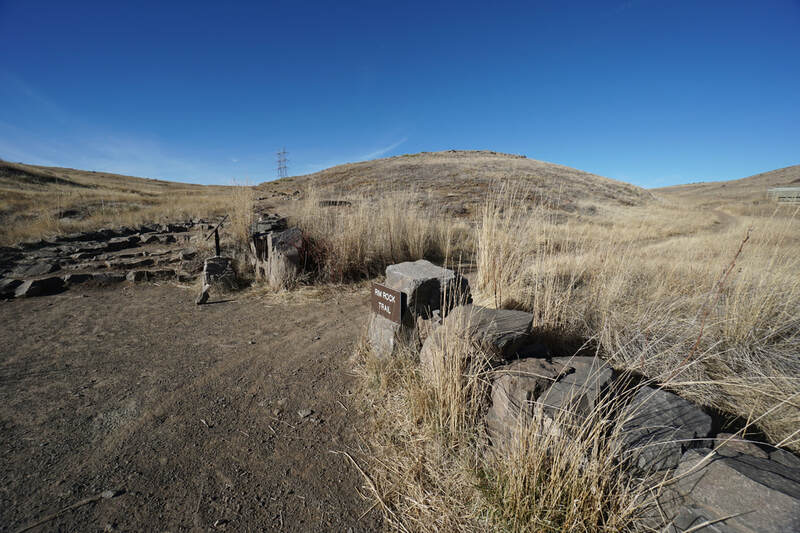 On your way up to the mesa top, there are spectacular views to the east and be sure to check out the seasonal waterfall just before you reach the top. 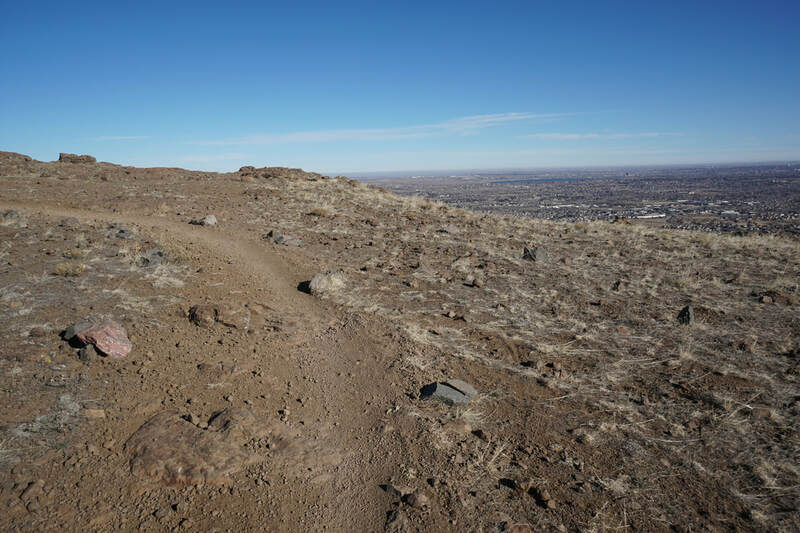 Once you arrive on the mesa top, the Rim Rock Trail quickly breaks from the Mesa Top Trail and heads north. 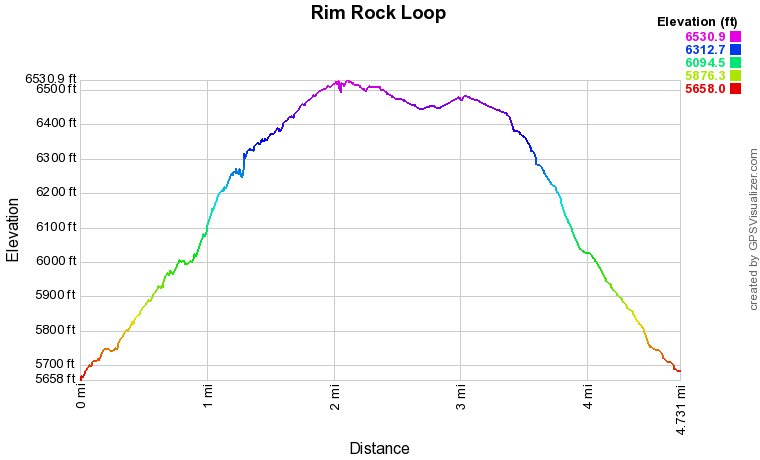 Please note however, that the Rim Rock Trail is closed from February 1st to July 31st to protect raptor nesting. If the trail is open, it provides a wonderfully scenic loop along the northeast portion of the mesa. 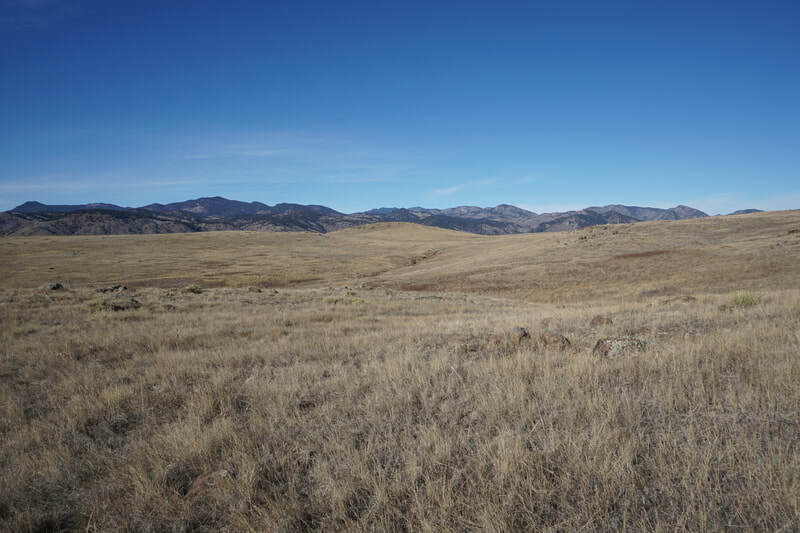 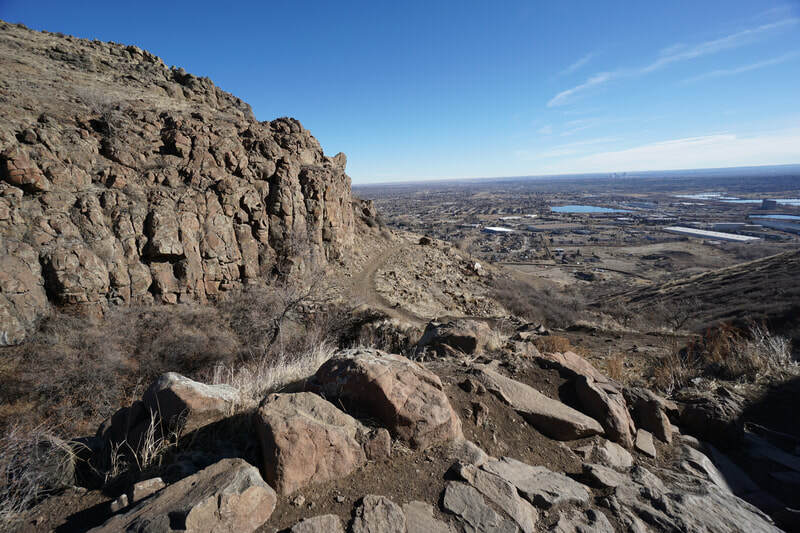 The rim of the mesa provides great views of the Denver Metro Area and the Boulder Foothills to the north. 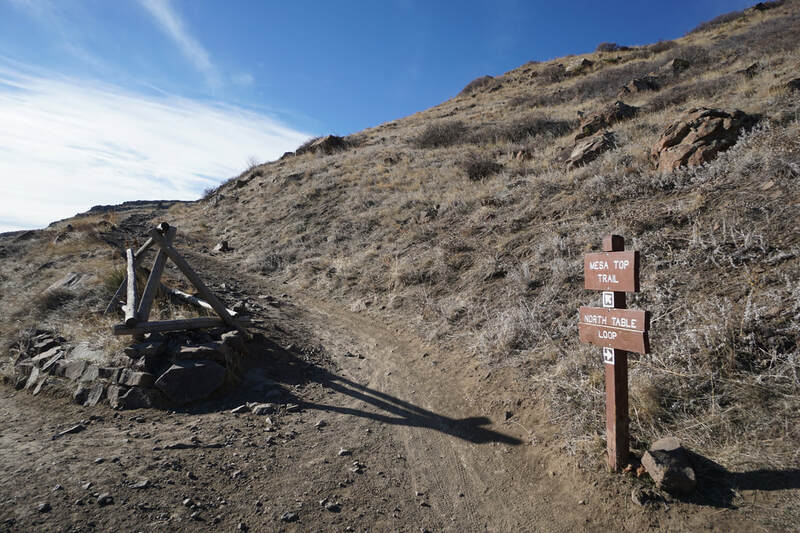 After you've completed the loop, follow the Mesa Top Trail back to the North Table Loop and the Trailhead. 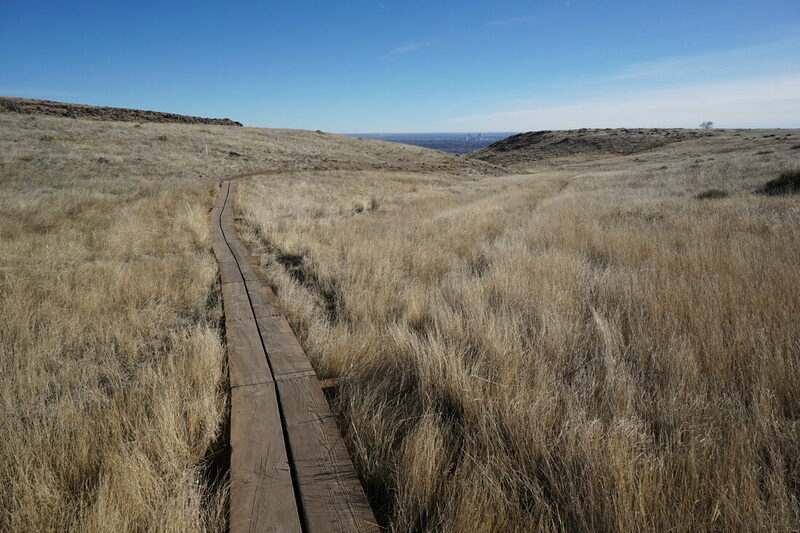 You can also link to the miles of trails in the park for a longer hike.